TorontoVerve. :: Stephanie & Anna: "Fantastical Dreamy"
Stephanie & Anna: "Fantastical Dreamy"
Stephanie (left): "My style is like a unicorn exploding on a hill of pastels. British Fashion photographer Tim Walker inspires me with his fantastical dreamy vision." 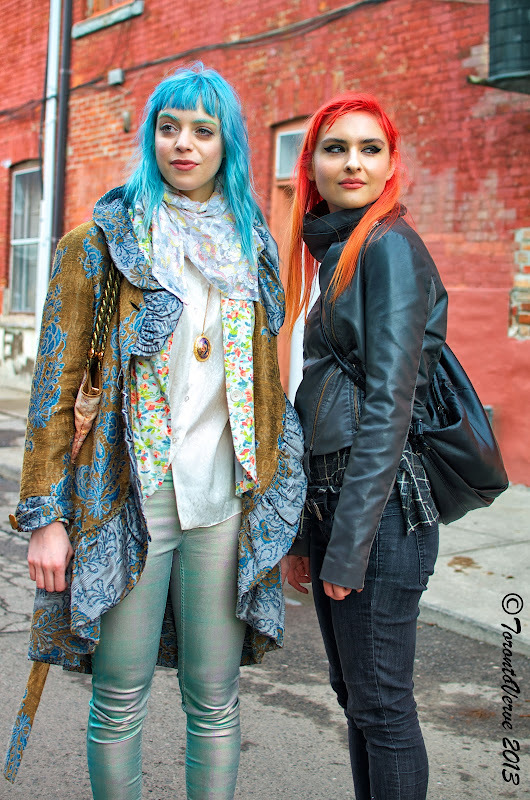 Anna (right): "My style is a casual Rick Owens -- the American fashion designer."